Curated art site, Wondereur’s most recently selected artist to watch is Christina Leslie. Leslie creates using photography and African and Jamaican art collector/ curator Kenneth Montague describes her work as having ‘a deep poignant message around multiculturalism’ with ‘a terrible beauty’. Leslie has connections to Jamaica but lives and works in Canada. A selection from her series of recent double portraits can now be viewed. Each work uses two versions of the same person placed next to each other. The automatic impulse is to search for the relationship between the images or to compare them. 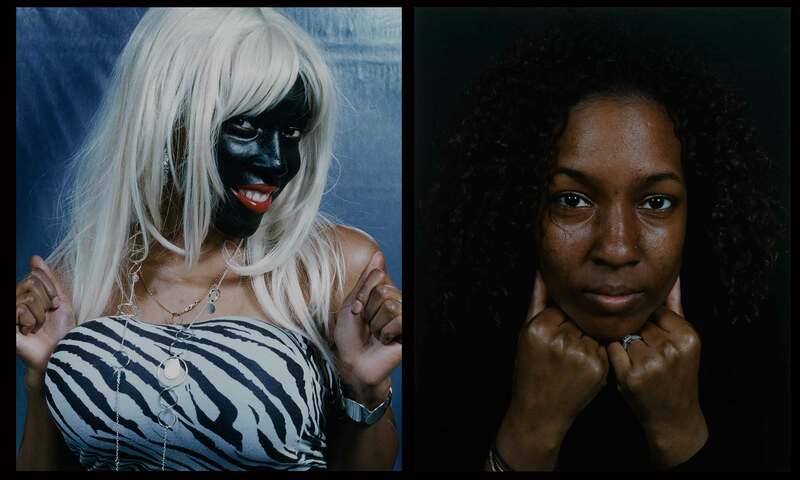 In one of the double portraits, the close-up frontal photograph of a young black woman’s face is placed beside another photograph of the same woman in blackface and a blond wig. The work’s title, The Video Hoe Vixen is what readily reveals how each image informs the other. This conversation about racially problematic imagery is one which finds a connection with the various dialogues, voices and viewpoints in various contemporary art practices in the Caribbean. In 2009, Leslie showed work alongside other artists, including myself at the Rockstone & Bootheel exhibition at Real Art Ways in Connecticut. The show featured the work of artists connected to the Caribbean who were exploring various complex layers of Caribbean identity and experience. In particular there is a connection with the concerns of Renee Cox, Ebony Patterson and Marlon Griffith. 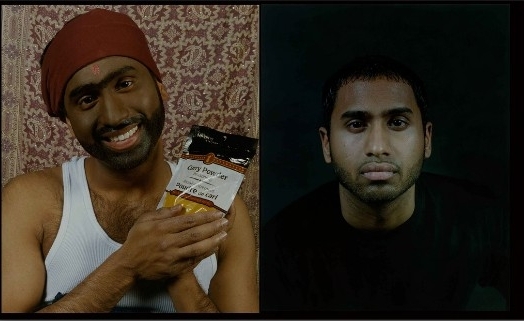 In that exhibition the artists were involved in re-contextuazlising and thinking about identities via photography. Charles Landvreugd and Olivia McGilchrist’s work presented in other forums relates to this visual language of reclaiming and taking on stereotypes by using masking and cloaking of the body in reference to popular culture and thought. The juxtaposition in Leslie’s work does play on the ideas of dual truths about individuals. How we see ourselves and how we are seen is a major point emerging from the work. The work holds two striking yet opposing points in that perhaps stereotypes do hold a version of a truth after all; and revealing that all images are constructed for desired effect. Leslie says about her work that “If one less person laughs at one less racist joke, I’m still doing my part in it.” These issues cannot be expected to be directly transplantable in the Caribbean. While we do speak about imagery and representation I don’t know that racism can be understood in the Caribbean in the same way as that which the artist attempts to counter. Her dialogue is clearly aimed at the particular atmosphere in Canada and the U.S. but it finds kinship with the kind of work other artists are doing regionally.